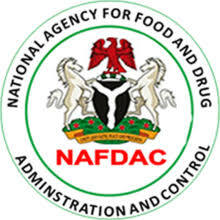 The Director General of the National Agency for Food andDrug Administration and Control (NAFDAC), Professor Christianah Mojisola Adeyeye, has assured Nigerians that the return of the agency to the nation’s ports and borders will enhance the regulation of importation of narcotic drugs and hazardous chemical substances, reports NaijaAgroNet. This, she also said, would boost up the regulation of hazardous substances identified to be grossly abused and consequently, posing public health and security threats to the country. NAFDAC DG noted that the return to ports and borders will once again, restore NAFDAC’s key responsibility of monitoring imports of controlled drugs and chemical substances which come in various forms, thus requiring expertise to monitor their industry-wide application and use. The agency commended ONSA, the Chemical Society of Nigeria and other key stakeholders for recognizing NAFDAC as a key player in the national security architecture by this singular act of restoring the presence of NAFDAC officials at all designated Ports of entry and land borders. She recalled that the laws establishing NAFDAC empowered the agency to statutorily operate at the ports. “The clearance of regulated products outside of the current legal framework poses immediate and life threatening risks to the public as unregistered, spurious and falsified products exit the ports without recourse to the agency’s approval for such products to be in the market,” she said. Prof. Adeyeye further assured members of the public that NAFDAC will continue to contribute its quota to government’s efforts in securing lives and property by ensuring that only quality, safe, efficacious and wholesome regulated products and are consumed by Nigerians and smuggling of chemical weapons, harmful drugs and substances into the country is checked.